I’ve split this bibliography into sections for ease of following! For books (including anthologies I edited, and single-author collections) see the Books page. For short fiction, see Bibliography: Fiction. For poetry, see Bibliography: Poetry. To see how many of these works are grouped together, visit the Projects page. For non-fiction, see Bibliography: Non-fiction. For editorial projects, see under Editing. Looking to sample my work, but not sure where to begin? Try the Lemberg Sampler! 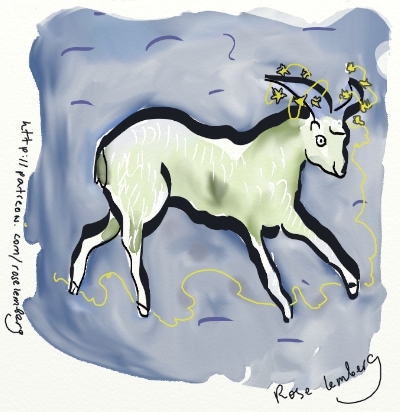 A fair amount of work, including poetry and this goat, can be found on my Birdverse Patreon.